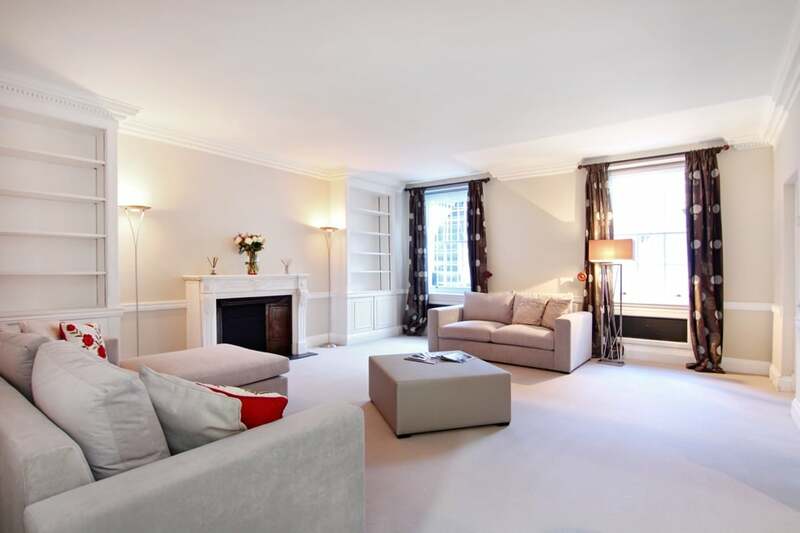 For a chic central London hideout with excellent facilities in an excellent central location, London Lifestyle Apartments are the people to go to; The Lyall Belgravia Style in Belgravia is a very spacious, serviced apartment with two bedrooms and two bathrooms. 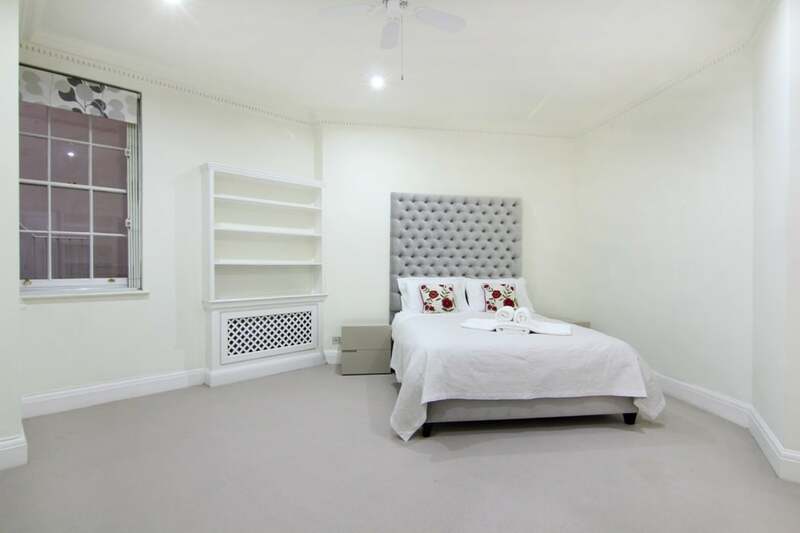 The stylish apartment has been extensively refurbished and is very well equipped. Belgravia is one of central London’s most exclusive residential areas, it is characterised by elegant Georgian terraced houses and wide range of shops, stores, restaurants and coffee shops can be found in the area. Sloane Square station is just a 5-minute walk away and Knightsbridge a 10-minute walk. Suitably elegant coffee shops, bars and restaurants await you, with a much wider range found in neighbouring Chelsea and Knightsbridge too. Some of London’s most exclusive shopping can also be found in Knightsbridge. From the moment that you open the front door of this elegant Georgian house in this exclusive area of central London, you have a feeling of space and of comfort. The apartment was recently refurbished, is carpeted throughout and there is central heating too with very effective radiators in every room. The Lounge and Dining Area is strikingly large with 2 new sofas and a dining table which comfortably seats 6. There is a feature original marble fireplace, alongside which is the large, flat screen TV which includes Freeview channels. 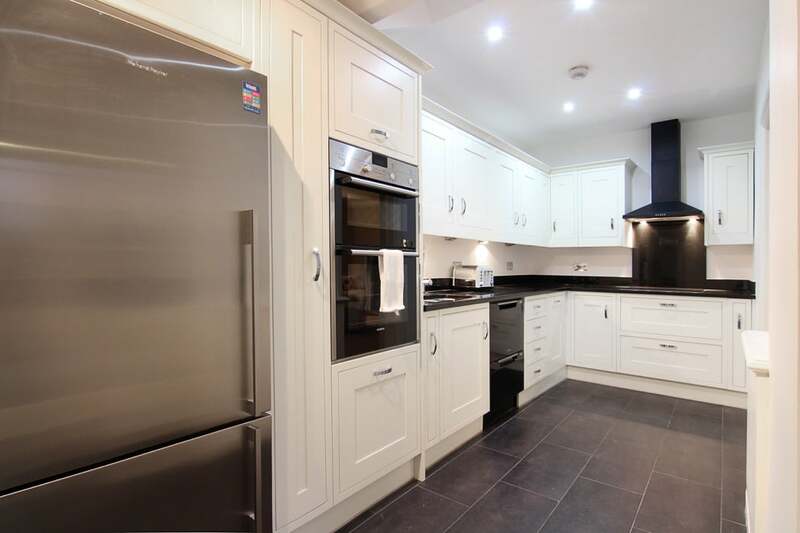 The kitchen is very well-equipped, with a 4-ring electric hob, Siemens double oven, large fridge/freezer, microwave, 2-tier dishwasher, toaster and kettle and all the pots and pans, utensils, crockery and cutlery that you will need. In the adjoining utility room, there is a washing machine and separate dryer, as well as an iron and ironing board. Complementary Wi-Fi is provided throughout the apartment and airport transfers can be arranged if required. The apartment very comfortably sleeps 4 guests, although it is possible to sleep a 5th person in the Master Bedroom and a 6th person in the Lounge, both on floor mattresses. The spacious master bedroom has a king-sized bed with Egyptian cotton linen and duvet covers, and a walk-in wardrobe. The very modern ensuite bathroom includes a rain shower and hand-held shower in a good-sized shower enclosure. The second Bedroom also has a king-sized bed or can be configured 2 twin beds to suit your needs. The second bathroom is located just along the hallway, it is also very modern and includes a bath tub with rain shower over and a hand-held shower too. You are very well setup for self-catering (a Waitrose supermarket is just 3 minutes’ walk away in Motcomb Street), but in this location, you needn’t if you choose not to! Why not enjoy your surroundings to the full and dine at some of London’s top hotels whilst you are here? 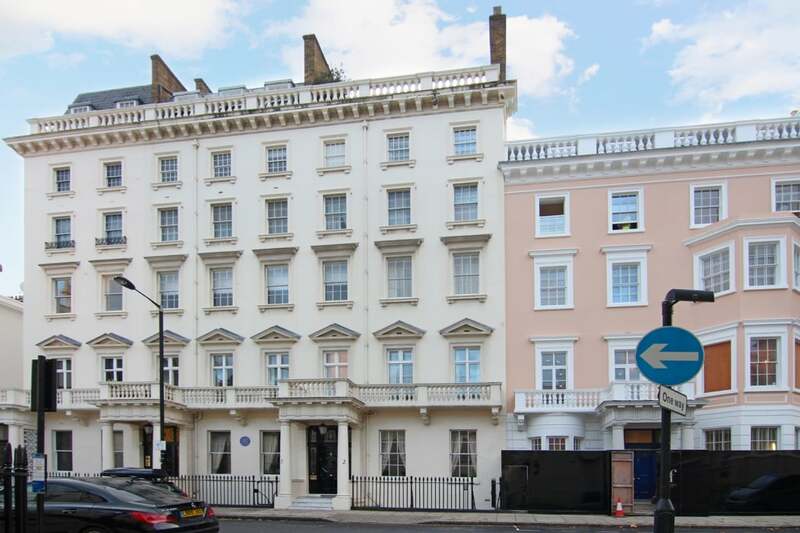 The Diplomat Hotel is just at the top of the street, whilst the even more exclusive The Hari Hotel is a few steps further, with Jumeirah Carlton Tower Hotel just around the corner facing Cadogan Place Gardens. Restaurants of every type of cuisine can be found in nearby Pont Street.